What is in our solar system? What is the difference between an asteroid, meteor, and comet? The known solar system can be divided into three parts: the rocky inner planets like Earth, which are close to the Sun; the outer gas giant planets, which are further out; and the frozen objects of the Kuiper Belt, which lie beyond Neptune's orbit. Beyond that, the Oort Cloud has been theorized but not confirmed. The solar system and space are vast but knowable. Technology improves every year and we have better techniques of observation that reveal so much about what's out there. It's important to teach our children that the universe can be predicted because it follows the laws of physics. We know things because we observe and measure and there's still more to learn. Space is the frontier of science and where adventurers can be truly brave. It's important not to give up and assume the universe is pure chaos. It is knowable and full of patterns. First off, let's define some astronomical bodies. Meteor: a small particle from a comet or asteroid orbiting the Sun. Meteorite: a meteoroid that survives transportation through Earth's atmosphere to land on Earth's surface. Many meteors burn up in the atmosphere on the way to colliding with the ground. Every day, more than 100 tons of dust and sand-sized particles enter the Earth's atmosphere. Comet: a relatively small object which contains ice that can vaporize in sunlight forming an atmosphere of dust and gas which sometimes appears as a tail of dust or gas. Trojans: asteroids that share an orbit with a larger planet, but do not collide with it because they gather in two balanced places in the orbit (called the L4 and L5 Lagrangian points). Jupiter's orbit contain the most volume of trojans. In 2011, NASA announced the discovery of an Earth trojan. Earth may have more in the L3 position though we are unable to confirm because we cannot view behind the sun. Dwarf planet: a planetary mass object that is neither a planet nor a natural satellite in direct orbit of the Sun. The mass is great enough for its gravity to crush itself into a spheroid shape but has not cleared the neighborhood of other material in the orbit. Pluto was recategorized from planet to dwarf planet in 2006 because it did not meet the third requirement. Moon: a celestial body that makes an orbit around a planet or dwarf planet. Earth's only moon is referred to as "The Moon". Jupiter has 63 moons with one (Ganymede) larger than a planet (Mercury). Now that we are speaking the same language, let's talk about how the solar system looks. The first four planets make up the inner planetary while the last four gaseous giants make up the outer planetary. All of the planets sit on the same orbital plane. Unlike the electron cloud of an atom which circles the nucleus on a 360 plane, the planets all revolve around the sun on the same x plane. In order, the planets are: Mercury, Venus, Earth, Mars, Jupiter, Saturn, Uranus, and Neptune. An in-depth post about the planets is coming soon. Between Mars and Jupiter lies the Asteroid Belt. The Asteroid Belt consists of hundreds of thousands of rocks, with all kinds of different sizes and shapes (even dust particles). The largest object in the Belt is Ceres, which is a dwarf planet discovered in 1801. Ceres's diameter is approximately 945 kilometers (587 miles) and it is estimated to make up a third of the total Belt's mass. Ceres is too dim to be seen without a telescope. Ceres was originally categorized as a planet and thus follows the planetary naming convention after Greek and Roman gods. Ceres is the Romain goddess of agriculture. Ceres contains water and so it is a candidate for possible human colonization for mining in the far future. At it's closest distance to Earth, a one way communication from Earth to Ceres would take 30 minutes. Beyond the farthest planet, Neptune, is the Kuiper Belt. The Kuiper Belt resides from 30 AU to 50 AU from the Sun. An Astronomical Unit (AU) is the distance from the Sun to the Earth. Pluto is considered to be in the inner Kuiper Belt. The Belt was hypothesized until additional objects beyond Pluto were identified. The hypothesis was that material within our newly created solar system was too widely spaced to condense into planets and so instead remained as a multitude of smaller bodies. The inner areas of the solar system are more condensed and thus created larger bodies (planets). The Kuiper Belt is thought to be the origination of short period (orbital periods of less than 200 years) comets. These comets are wanderers from the Kuiper Belt who are flung into the inner solar system by gravitational tugs from other bodies such as Pluto and Neptune. NASA's New Horizons mission recently passed Pluto in 2015 and is currently in the Kuiper Belt sending back images. New Horizons will reach object 2014MU69 in 2019. Farther out at 3,000 and 100,000 AU, scientists have theorized the Oort Cloud to account for long period comets (more than 200 years orbit, even thousands of years long). It is thought to be a cloud, rather than a belt, because the icy Oort objects are distributed spherically around the Sun and possibly extend as far as half way to the next solar system (Proxima Centauri). The vast orbits of these objects are long and highly eccentric so picture an off-center oval around the Sun rather than a circle. The Oort Cloud ends where the Sun's gravitational influences are not strong enough to keep objects in orbit. It is truly the outer reaches of our solar system. NASA's Voyager 1, the fastest and farthest of the interplanetary space probes beyond Pluto, will reach the Oort Cloud in about 300 years and would take about 30,000 years to pass through it. Unfortunately, it will be non-functional along with the other four probes to have crossed into the Kuiper Belt at present time. The red dwarf planet (most likely), Sedna, is thought to eccentrically orbit in the inner Oort Cloud at 3-31 times the distance of Neptune. The exceptional orbital period takes 11,400 years to complete around the Sun, which means the probability of its detection was roughly 1 in 80. This predicts that another 40–120 Sedna-sized objects may exist within the same region to be detected as they come to perihelion (point of orbit closest to the Sun). The discovery of Sedna was a large impetus for demoting Pluto from the status of planet to dwarf planet. Now you have a general sense of our entire solar system. Don't forget to leave a comment below! Tyson's love of the universe's cosmic mysteries is clear as well as his simple and effective writing style to explain complex concepts. America's most famous astrophysicist discusses trojans, antimatter, light speed, and of course black holes. among other topics. This book successfully treads the line between entertaining and educational. Sagan describes the history of our launch into the cosmos and assesses the future outside our solar system into distant galaxies. He touches on the moons of other planets and their likelihood of future colonization. Not a difficult read even though there are many scientific theories and observations shared. 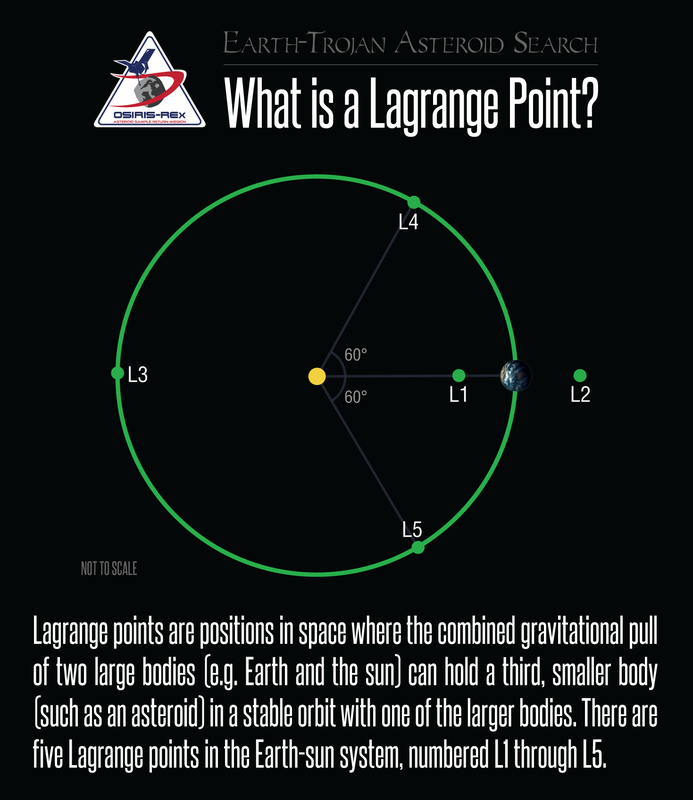 Learn more about trojans and the math of the Lagrangian points. A quick read. Spoiler alert: there definitely is one and there could be more. Mission microsite of videos, image galleries, facts, and the latest status of the New Horizons space probe mission which passed Pluto in close proximity in 2015 and is currently in the Kuiper Belt. Pluto in a minute videos are interesting and just enough information. 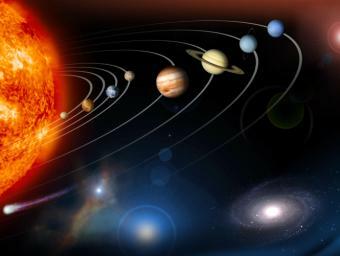 Planets on NASA.gov This site section contains ample information for planets, moons, astronomical regions, and our Sun. Not surprisingly the pictures are fantastic. The site allows for comparing the planets and easy browsing and skipping from object to object.